The LA Film Festival will start this Wednesday with a large collection of films. We're into horror and macabre here at TTDILA so our favorite section is Nightfall. Now we did look far and wide for films in the other categories, but couldn't find anything getting with big buzz from other festivals or sounding amazing in their own right. We mean An Evening with...The People V. O.J. Simpson, doesn't sound great, it also has nothing to do with film. 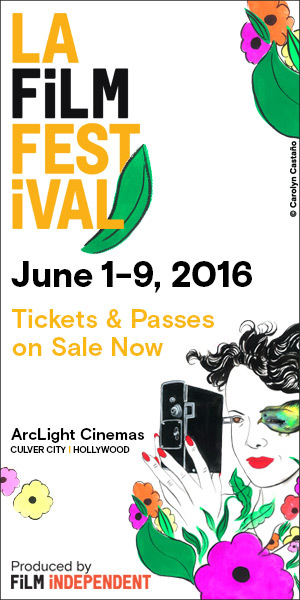 So with that were going over our top choices and telling you to go over the festival's guide too. Beyond The Gates is our top pick, because of its great concept about a horror VCR video game bringing back two brothers who have been estranged. Oh, and the game will probably release a Hell of 80's horror movie monsters on them. 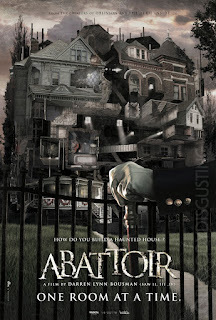 "Two estranged brothers reunite at their missing father’s video store to liquidate the property and sell off its assets. 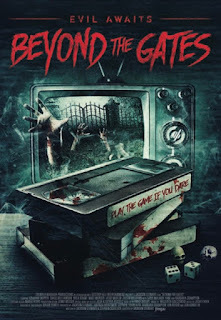 As they dig through the store, they find a VCR board game that holds a mysterious connection to their father’s disappearance—and deadly consequences for anyone who plays it." So it'll be a clusterf*ck of 80's horror movies in one movie. We don't how capable the director is. We believe it's director Jackson Stewart's first feature film. 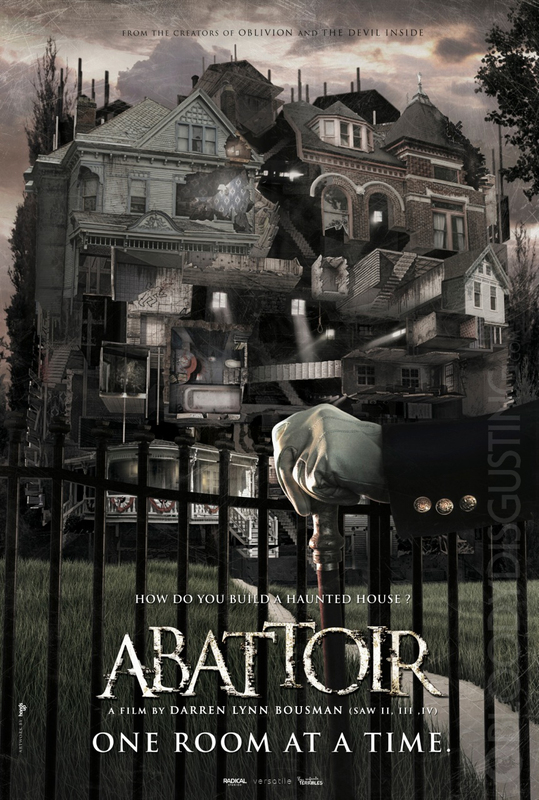 Abattoir, sounds like a fun real estate horror movie, LA's real estate market is a real horror show. Someone is building a haunted house by taking pieces of houses where murders or "accidents" occurred. "Julia, an investigative reporter with the style and confidence of a young Bacall, happens upon a series of gruesome murders tied to real estate mysteries, where entire rooms have been dismantled and pulled from their foundations. The fact that those rooms were the exact settings for heinous tragedies sets Julia and hardboiled cop Joe on a search for the unimaginable. The stakes go up when it suddenly becomes very personal in this stylized and increasingly horrifying modern-noir." We want to see a trailer for Officer Downe about an over-the-top cop in LA fighting crime before giving it our recommendation. From director Shawn “Clown” Crahan, of Slipknot fame, we have no idea what to make of it other than the great premise of an officer for the LAPD who has to keep coming back to life. "A young rookie cop is tasked with shadowing Officer Downe, an LAPD cop waging a war to clean up the streets of Los Angeles. 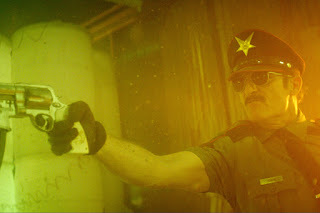 Officer Downe’s foes comprise of a cadre of super villains, including the criminal syndicate of humanoid beasts dubbed the Fortune 500, Mother Supreme and her gun-toting nuns, and kung fu overlord Zen Master Flash. The rookie soon learns that you can’t keep a good cop down, as Office Downe takes a licking and keeps on ticking, again, and again, and again…"
Now, there are some free screenings, including the original Ghostbusters, so check them out.